Get your deerstalker hat on “the play’s afoot! 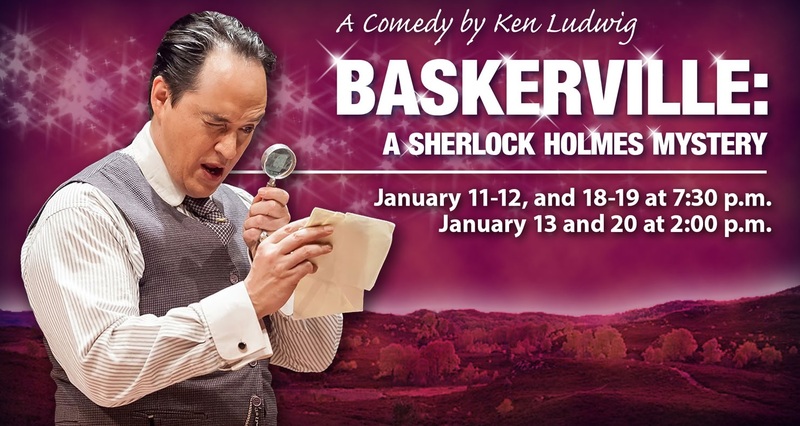 Comedic genius Ken Ludwig (Lend Me a Tenor, Moon Over Buffalo) faithfully transforms Sir Arthur Conan Doyle’s 1901 classic ‘The Hound of the Baskervilles’ into a murderously funny adventure and Sherlock Holmes is on the case. The male heirs of the Baskerville line are being slain – one by one. To find the clever killer, Holmes and Watson must brave the deserted moors before a family curse dooms its newest heir. Our valiant investigators try to escape a dizzying web of clues, silly accents, disguises, and deceit as five actors portray more than 40 characters, dashing madly from rainy London to the famous foggy mire.